Special congratulations to Matt and Ljupka who have just had a wee girl called Iskra. We are really happy for you all. Looks like the girls have it so far on the baby front. This picture is not of Ljupka and Iskra, I must add. 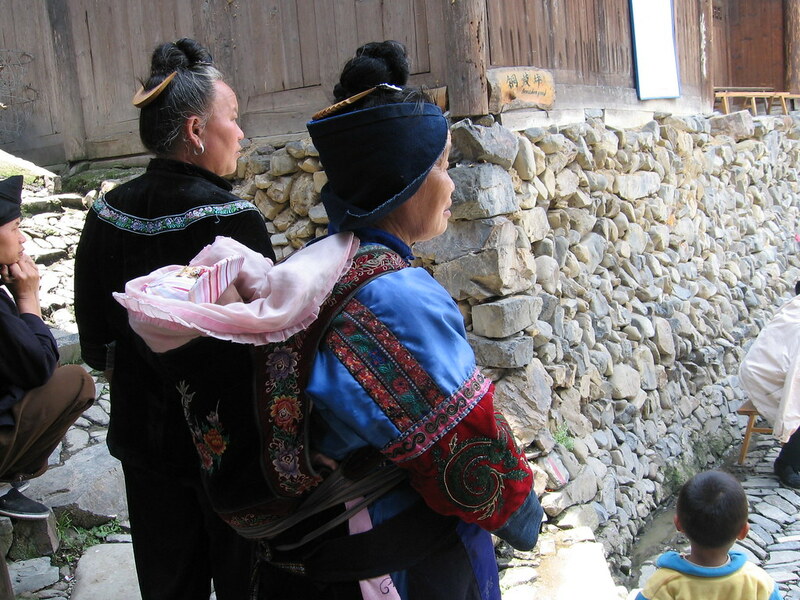 It is a Miao grandmother with a beautifully ornate baby carrier and very sleepy baby inside it. One last thing PLEASE PLEASE DON'T GROW A BEARD OR MOUSTACHE !!!!!!! Sorry Rebecca. It is too late. I already have a beard and a moustache!!! !